Complete Guide to Help You Select the Best Cordless Vacuum for Hardwood Floors! Frequently Asked Questions about cordless vacuums are answered for you. Plus, I have included my Recommendations of what I believe are the best cordless vacuum cleaners for your hardwood floors. Hardwood flooring represents a significant investment. They add such beauty to any home and they deserve to be thoughtfully protected and maintained. A quality cord-free stick vacuum is an excellent option for caring for your beautiful floors. The prospect of being able to vacuum your house without having to deal with a power cord is pretty enticing to most people! But, there are issues that need to be considered before you invest in one. Most Things Lovely are Fragile! Natural hardwood has been used down through the ages as a valued engineering material. Its natural buoyancy makes it ideal for building boats. The strength to weight ratio of wood is perfect for constructing buildings and its beauty is unsurpassed for the floors of our homes. Although hardwood is naturally strong it is also easily scratched by anything that is harder. Stone, metal, plastic, and even the claws of your dog or cat can cause serious scratches. The number one enemy to your hardwood floors is D-I-R-T! The Dirt that gets tracked into your home is mostly abrasive. It’s very much like rubbing your floor with sandpaper every time you walk on it. To preserve your floor it’s crucial to make sure any harmful dirt is removed on a regular basis. That’s why I believe it’s important to give careful thought to which vacuum cleaner you use. All vacuum cleaners have at least one thing in common: they are all built from plastic and metal. A poorly designed machine can potentially cause damage to the floor you are trying to protect. Hard plastic wheels, loose screws and other metal parts can cause scratches. Many of the economy-priced models currently available cut corners by using inferior components and dubious engineering. Their designers give first priority to cutting their costs with little consideration to your expensive wood floors. That’s why it’s important to stick to reputable and familiar name brands. Choosing a cordless vacuum for your hardwood floors is not the time to go cheap! You would be better served with an old fashion dust mop than a low quality battery-powered vacuum. Strong Suction. Natural wood floors can develop cracks and gaps over a period of time. Even sealed hardwood flooring is subject to expansion and contraction because of moisture. This can cause a separation of the planks leaving small, even large clevises for dirt to hide. A cordless vacuum should have enough suction power to lift the dirt and dust that has accumulated in those cracks and gaps. And not just cracks, your new cordless stick should have enough suction to extract the dirt that hides along baseboards and crevices. I would encourage you to spend a few minutes reading through the FAQ’s and Answers. That way you will be equipped with the information necessary to choose the best cordless vacuum for your hardwood floors. (Updated 2/26/2019) I have meticulously researched and evaluated many cord free vacuums that appeared to be good candidates. Only 5 made it to the top of my list. Each of the Cordless Stick Vacuums listed BELOW are top performers on hardwood as well as engineered, Laminate, Vinyl, tile, and stone flooring. All of them work well for cleaning and maintaining most carpet types and area rugs. Please NOTE: For those of you who reside in a European Country you can easily and safely charge the battery in any of the cordless vacuums listed below by using a Voltage Converter. Weight 5.88 lbs. 8.7 lbs. 5.3 lbs. 8.7 lbs 5.6 lbs. The Cyclone V10 Absolute Lightweight is Dyson’s latest model in the evolution of Cordless Stick Vacuums. It represents years of trying and testing, improving and perfecting every aspect of floor cleaning technology. exciting vacuum has so many thoughtful features that make it worth the investment. The V10 Absolute has all the right stuff to enable you to clean every floor and area of your home easily and quickly. A motorized Soft Roller Cleaner Head is designed especially for hardwood floors. It is engineered to pick up find dust as well as large debris without unnecessary wear and tear on your wood floors. made with Soft bristles. Instead of flinging debris it rolls over it, and gently rotates it into the suction zone. When it comes to suction power, the Cyclone V10 has arguably the strongest suction of any currently available battery-powered stick vacuum. It’s more than enough suction to extract dirt hiding in the deepest crevices. When it comes to cleaning carpet the Dyson Cyclone V10 has the power and features to deep clean low to high pile carpet. A powerful Torque Drive Cleaning Head with stiff bristles digs out even deep down dirt and hair for a thorough cleaning. The Dyson Cyclone V10 Absolute is not just another cordless stick vacuum; it’s a whole-home cleaning system in one very well thought out package! It has all the features necessary to clean your hardwood floors thoroughly and without damaging them. And its equally as effective for cleaning all carpet and the above-floor capability is excellent. You will appreciate the Easy Empty, Point-and-Aim Dust Cup emptying system every time you use it. The only criticisms I have of the Cyclone V10 Absolute is that it is not free standing. You do have to either lean it against the wall or a piece of furniture or return it to its wall bracket when you stop. The price is definitely on the high side although I do feel it represents good value when you consider the quality and exceptional utility. If you and your family are looking for ways to have more time to do the things you love, the Dyson V10 Absolute is a very smart investment. 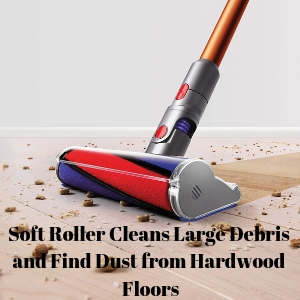 With its powerful suction and Soft Roller Cleaner Head this state-of-the-art machine is one of the best cordless stick vacuums available for hardwood floors! models with refreshing design ideas. Models like the New ION P50 Upright (IC162) for instance. This distinctive-looking vacuum offers the advantages of a traditional Upright with the convenience and versatility of cordless operation. 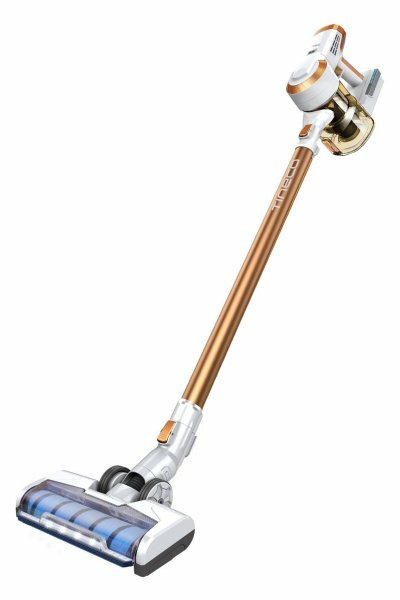 And, the Shark ION P50 (IC162) is the Most Practical cordless vacuum for cleaning hardwood floors I have reviewed so far. TWO Brush Rolls in ONE Power Head. The one in the front acts as a fluffy mop for cleaning surface dust and gobbling up large debris. 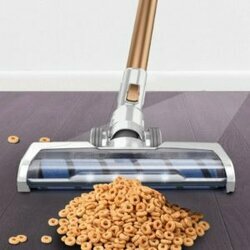 It easily removes such things as cereal or dry pet food from both hardwood and carpet. Activate the Hard Floor Mode by pressing the button located near the grip and it slows down both rollers. 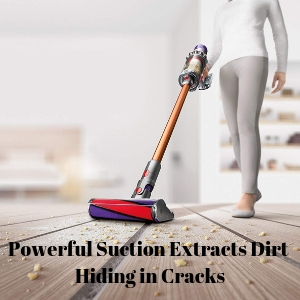 The suction is powerful enough to extract dirt hiding in cracks which has always been a challenge for any vacuum. some Plush Pile carpet in the bedroom? Simply press the Power Surge button and get an extra suction boost to get the job done. Not only can you vacuum the floors just like you would with a familiar Corded Upright Vacuum. Or launch the Shark ION P50 into the Lift-Away Mode and have the convenience of a handy Portable vacuum. Use the Extension Wand with the Stretch Hose and DuoClean Power Head to navigate around furniture and walls. Or, Snap in a tool and clean those overhead hard to reach areas like ceiling fans, book shelves, and air vents. Use it to clean those stubborn carpeted stairs or give the family car or RV a good cleaning. And you won’t have to bother with a power cord. Check Out this Cool Demo VIDEO of the Shark ION P50! There are a lot of Cordless Stick Vacuums currently available. But when it comes to cleaning hardwood floors the Shark ION P50 Lightweight Cordless Upright Vacuum (IC162) is probably the Most Practical one I have reviewed. Not only will it do a splendid job on hardwood floors it also performs exceptionally well on area rugs, low to medium pile carpet, and even long plush carpet when used in the Power Surge Mode. It’s a bit pricy but offers very good value when compared to other the Top Competitors. The Shark ION P50 is my number one pick for a cordless vacuum to clean hardwood floors. hassle of a cord. That is a reality with the new tineco A10 Master Cordless Stick Vacuum. This quality built machine comes with (2) Removable Battery Packs that deliver up to 25 minutes Runtime each in Normal Mode, and about 7 min. in MAX mode. The tineco A10 Master Cord-Free has a digital motor that develops 110 Air Watts of suction power, rivaling the Dyson V8 Absolute’s 115. Not only is this product equipped to clean all types of dirt from hardwood floors (including large debris such as cereal or dry pet food), it will also clean embedded dirt and hair from low to medium pile carpet or rugs. The tineco A10 Master Cord-Free Stick package includes a Motorized Hard Floor Brush and a Motorized Carpet Brush for wall-to-wall cleaning. If you or someone in your household suffers with a respiratory issue such as allergies or COPD, the tineco A10 Master has HEPA Level filtering to remove 99.9% of offending particles. Another feature I really like about this handy tool is its extra quiet operation. It’s easy to maneuver, even in the tightest areas and has Bright LED Headlamps that helps you see where the dirt is. Check Out this Cool Demonstration VIDEO! Light Weight at only 5.3 lbs. Brush. This attachment is designed to clean carpeted stairs easily without having to contort your wrist to clean the vertical surface. It also works great on upholstery or for cleaning up cars or RV’s. Each of the attachments easily snap On or Off with one hand. The easy-empty dust bin has adequate capacity to allow you be more productive. If you are looking for a practical and affordable cord-free solution for dealing with your hardwood floors and carpet or area rugs, check out the tineco A10 Master Cordless Stick Vacuum. It’s worth your serious consideration. This rich-featured product by SharkNinja takes the concept of “versatility” to a whole new level! 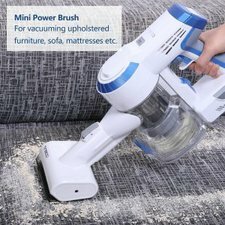 This exciting ultra-light cordless stick vacuum has all the features necessary to make it one of the best hardwood floor cordless vacuums currently available! SharkNinja has built its reputation for pleasing its customers by its far-thinking innovative design staff. And, the Shark IonFlex DuoClean (IF201) really delivers when it comes to cleaning hard and wood flooring, carpet and above-floor areas too. 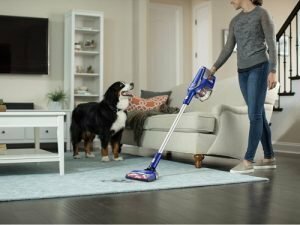 DuoClean- This proprietary technology utilizes a 2nd brushroll made from soft thick microfiber bristles that roll over large debris like Fido’s Kibble & Bits so it can be sucked into the nozzle instead of slinging it across the floor. This enables it to handle all types of dirt and dust and leaves your wooden floor with a polished look! IONFlex- This innovative feature has a twofold purpose. 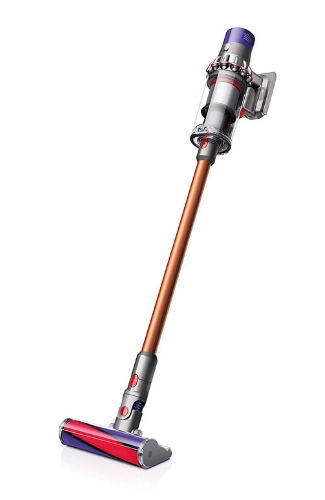 The jointed wand Flexes, making it possible to clean under furniture without having to stoop down, and it is currently the only motor head-type vacuum that will stand on its own. Upgradable Runtime- The Shark IONFlex DuoClean IF201 Ultra Light is currently one of the few battery-powered stick vacuums that allows you to easily swap out the battery while on the fly, replacing the depleted battery with a freshly charged battery for up to 80 minutes of Runtime. That’s enough time to clean a whole house! SEE the Shark IONFlex DuoClean IF201 Ultra Light in Action! boast of having the highest average customer feedback rating. The Shark IonFlex DuoClean Cordless Ultra Light Vacuum (IF201) is yet another example of their far-thinking design philosophy. They consistently offer products that give you an advantage when it comes to cleaning your home. 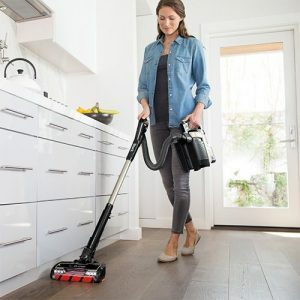 And, when it comes to cleaning performance the Shark IONFlex Cordless IF201 compares to the highly popular Dyson V8 – especially when it comes to cleaning hardwood floors. The 5 Year Warranty is the longest in the industry when it comes to Cordless Vacuums. And with the ability to easily change out the battery this exciting new vacuum should provide years of dependable service. Hoover Impulse Cordless BH53020 may be just the right solution you’ve been searching for! After reviewing the Hoover Impulse I realized it was perhaps the perfect option to fill the Below $150 price range. I had been searching for a vacuum I could confidently recommend that doesn’t cost an arm and a leg. One that’s built by a reputable company, and really earns its keep. 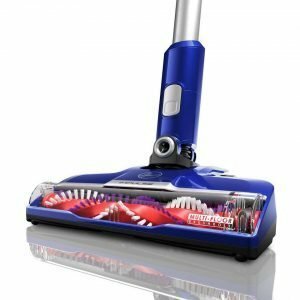 When I first got my hands on this vacuum I didn’t really expect it would work that well on hardwood floors – but boy was I wrong! This attractive machine gobbles up large debris, dirt, and dust from hardwood floors and area rugs. When I tried it on Medium Pile carpeting it didn’t complain at all – it deep cleaned it as well. There are several reasons the Hoover Impulse BH53020 works so well. The front edge of the motorized floor brush has a funnel shape for about 6” in the middle. This forces large debris toward the center where there is adequate clearance for it to pass. The bristles on the brush roll are arranged in a symmetrical pattern to manipulate dirt and debris toward the center of the nozzle. This is where the suction vortex lifts it up and into the dust cup. It really worked great in my testing. Take a Look at this Brief Demo VIDEO! Lightweight at Only 5.6 lbs. Dashboard where you can select Normal Mode where the brush roll spins at a higher rpm for cleaning area rugs and carpet. When you move to the hardwood floor areas you simply depress the Hard Floor Mode button and the brush roll slows down to give a sweeping effect so it won’t sling debris across the floor. Or, you can select the Boost Mode if you encounter a really dirty area, although I found Normal suction to be quite sufficient for almost any cleaning situation I encountered. Of course, it easily converts to a Handheld for those above-floor messes with plenty of tools for almost any job. I found that it works really well for cleaning the horizontal area of carpeted stairs by using the motorized floor brush in the handheld mode. The only issues I found with this vacuum are: You need to keep the filter and airways clean for maximum performance. Also, it would be nice if it was Free-Standing, but that is a trade off with this design. The Hoover Impulse Cordless Stick offers great value. Its well designed and does an excellent job of cleaning wood floors as well as low to med. pile carpet and area rugs. 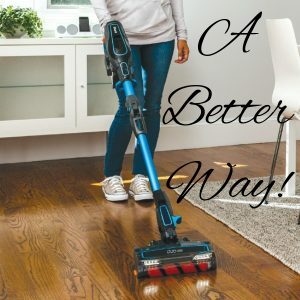 If you want a cordless stick vacuum that really performs on hardwood floors well and won’t drain your bank account, the Hoover Impulse Cordless BH53020 is one you should consider! The concept of a Cordless Vacuum for Hardwood Floors and other battery-powered tools is nothing new. The very first Cordless Vacuum Cleaner was patented in 1975 that utilized a plurality of battery cells for only enough power for spot cleaning. It was very heavy, expensive, and the power lasted for a very short period of time. But that invention allowed you the convenience of operating where there wasn’t a 110v or even a 12v receptacle and you didn’t have a cord to get tangled up in and have to coil up after use. The concept was excellent but the available battery technology made it impractical. The first practical nickel-cadmium batteries (NiCad) became available in the 1980’s that provided enough power and run time for small tools and appliances. They could be recharged relatively fast. The weight and cost made it possible to produce cordless products that really worked. I was fascinated at the prospect of carrying a cordless drill in my tool box to use anywhere…anytime. I recall my first cordless drill I purchased in 1990. The storage shed I built with it still stands today. But I never thought I would see the day when a serious battery-powered cordless vacuum cleaner would be developed because of the high power requirement. In 2012 the IEEE Medal for Environmental and Safety Technologies was awarded for developing the Lithium-ion Battery. Early 2013 the Lithium-ion Battery had evolved to a lithium vanadium phosphate battery that had the benefit of increased energy efficiency. The following year, 2014 Akira Yoshino, Rachid Yazami, and Yoshio Nishi lead the way in developing the Lithium Ion Battery we now have today. These three pioneers have set us free from the power cord and made our lives easier…thank you very much! Q. Does a Cordless Vacuum have enough power to really do a good job removing dirt from my hardwood floors? A. Yes! You will be amazed at the powerful suction produced by the top rated models. They also have sufficient power for vacuuming low to medium pile carpet. Only the best cordless stick vacuums have enough power to deep clean high pile carpet. Q. Can a battery-operated vacuum replace a full-size corded vacuum? A. Yes, No, and Maybe! 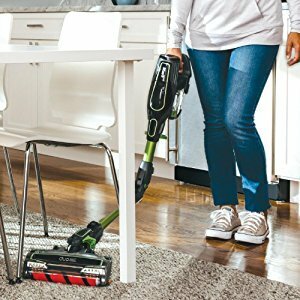 Battery powered vacuums simply do not have the level of suction power or the dirt-holding capacity of a full-size vacuum that operates with a cord plugged in to a 120V AC household current outlet. However, they are very useful at maintaining your floors and for dealing with everyday messes. If your home is relatively small with no children or pets it could be used as a primary vacuum. When used as intended they can be a real time and work saver. Q. 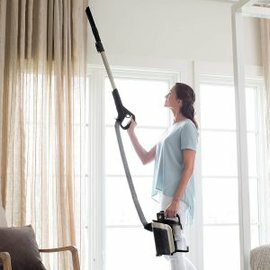 What is the average Run Time of a Cordless Vacuum? A. The average runtime depends on the wattage of the vacuum motor and the load. It will vary from model to model. Typically around 15 to 20 Minutes average. When used on hardwood floors the vacuum’s battery charge will last longer because there is significantly less resistance than when vacuuming carpet. Q. How long does it take to charge a Cordless Vacuum? A. The current generation of Lithium-ion batteries can be fully charged in 2 to 4 hours, depending on the extent of discharge. Q. 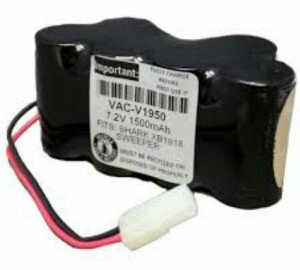 How long will a cordless vacuum Battery last before having to replace it? A. The life of a Lithium-ion battery is determined by the number of charge/discharge cycles it undergoes. 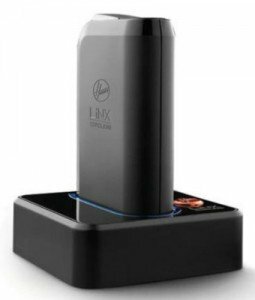 The power capacity drops to 80% after approximately 500 charging cycles. The new generation of Cordless Vacuum batteries will typically last 2 to 3 years before requiring replacement. Q. Do Lithium-ion batteries have a Memory Effect? A. The current generation of Lithium-Ion batteries DO NOT have a Memory Effect. 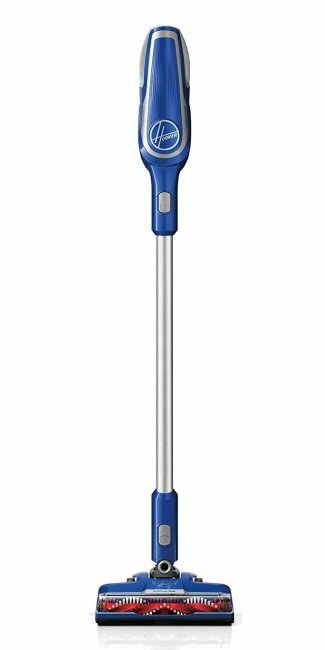 I have question about Hoover Air upright cordless vacuum. Does this come with two battery chargers – or a dual charger? Otherwise, having two batteries is useless.? Anyone know which vacs have sealed hepa filtration systems? I need one for hardwood floors only use. Hi Jody and thanks for the question. 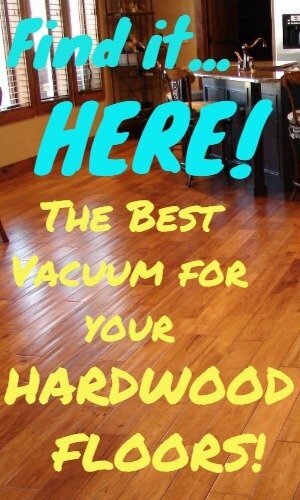 You can find some great vacuums with Sealed Filtration Systems that will work very well on your hardwood floors HERE. How does the Dyson V10 cordless vacuum compare with the rest on the market for hard floors?